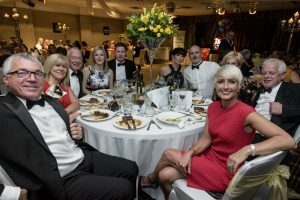 As part of Pendleside Hospice’ annual Corporate Challenge, digital technology experts Seriun recently hosted a charity ball at the Fence Gate. 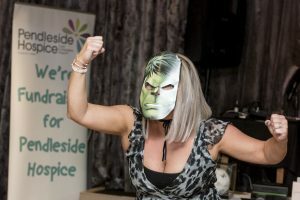 The ‘red carpet’ event was a huge success, which attracted 150 masked guests from businesses across Lancashire and beyond, and raised over £5,000 for Pendleside Hospice. 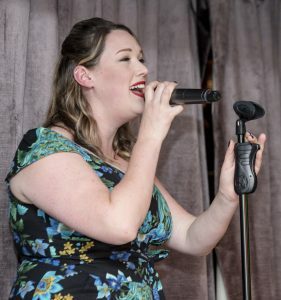 Guests enjoyed fine dining while being entertained by award-winning magician Andrew Dean and soothed by the sultry tones of singer Jo Farrow. There were a number of fundraising events throughout the evening, including a balloon raffle and charity auction – where some fantastic prizes were up for grabs, including a signed and framed Burnley FC football, Lancashire County Cricket Club shirt, and Manchester United v Burnley hospitality tickets, etc. Hayley Pollard and Emily Whiteoak from Pendleside Hospice were in attendance and enlightened everyone about the great work the Hospice do, while encouraging donations. 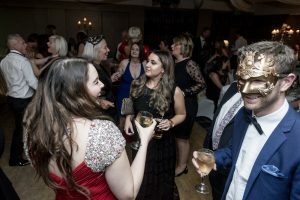 A shimmering array of masks were worn on the night ranging from the traditional Scaramouche and filigree styles, to the ridiculous – namely ‘The Hulk’! Prizes were given out for the best and worst masks, as judged by Pendleside’s Hayley and Emily. 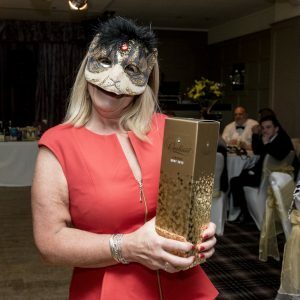 “The ball was enormous fun and an amazing night with the main aim of raising much needed funds to allow Pendleside Hospice to continue the phenomenal work they do”. – Greg Gardner-Boyes, Partner at KBL Solicitors. “The Seriun Charity ball was a great event, our guests thoroughly enjoyed themselves, and all for a worthy cause in Pendleside Hospice. We at Pierce were delighted to sponsor the event and an extra well done to the Seriun team for organising such a fabulous evening.” – Jimmy King, Director at Pierce Accountants. 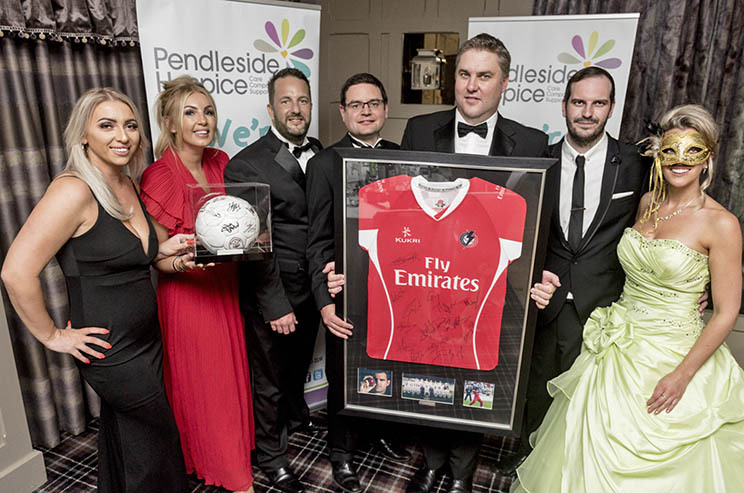 “It was an honour to sponsor the Pendleside Hospice fundraiser – happy we could play a small part in a big cause. Pendleside Hospice means a lot to a great deal of people in the area and the event held by Seriun is a reflection of how we all appreciate the valuable work they do. 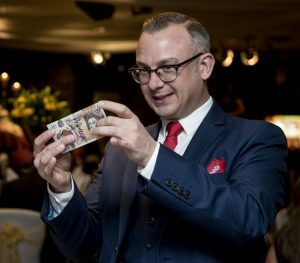 A combination of genuine passion, creativity and need to succeed made it a truly enjoyable evening for all and raised some much needed awareness and funds for Pendleside Hospice.” – Wayland Donlan, Creative Director at Double8 Moving Pictures. “We were delighted to support this fantastic event organised by Seriun. As a trustee of Pendleside Hospice, it’s so exciting to see companies like Seriun embracing the Corporate Challenge and raising vital funds for Pendleside Hospice. Everyone at +24 now can’t wait for the awards night to celebrate another year of fundraising from our amazing Burnley and Pendle businesses. Who knows what the total will be on the night!” – Dave Walker, Managing Director at +24 Marketing. The evenings photographs can be viewed here: www.lizhenson.co.uk/seriuns_ball_for_pendleside_hospice_web – courtesy of Liz Henson Photography. Headline Photo: (L-R) Hayley Pollard, Emily Whiteoak (Pendleside), Alan Scully, Richard Lee, Justin Sherwood, Mark Edwards & Laura Brown (Seriun) with signed Burnley FC football & Lancashire County Cricket Club shirt.